It was a beautiful destination wedding in the Amalfi Coast, in the amazing town of Ravello. Magic and romantic, it attracts a lot of couples to do their elopements or photo shoots. 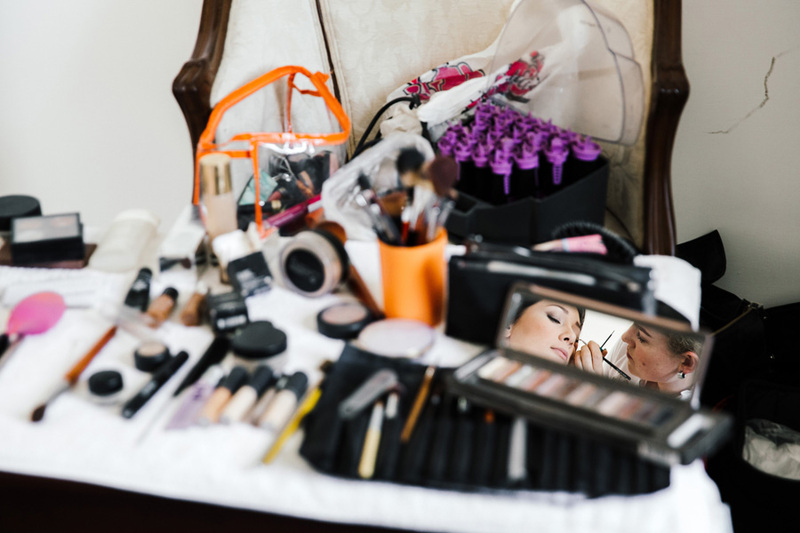 I came early in the morning to do the make up of my bride: it was a vintage style photographic make up, with a black eyeliner and red lips. 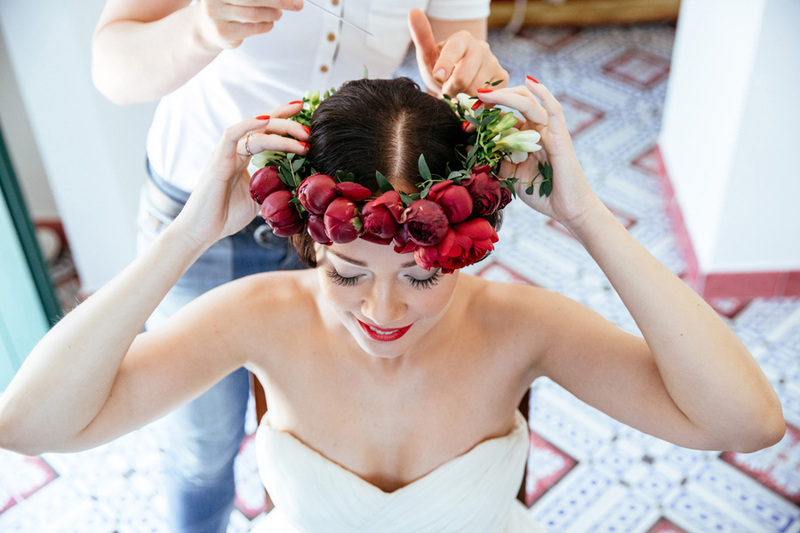 Then I did the hairstyling and applied a floral crown made with fresh flowers: wonderful red, crimson and burgundy peonies. Here you can see the result of my work thanks to the kind cooperation of the talented photographer Anastasia Arrigo.